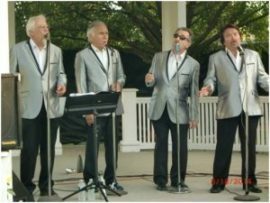 The Rockin’ Daddios bring back some of the best-loved songs of the 1950’s and early 1960’s, sung in doo-wop style with an accent on harmony and fun lyrics. They bring their talents to Taylor Community Wednesday, August 1 at 7 p.m. in Taylor’s Woodside Building. This free event is open to the public. The audience is sure to smile as they remember songs like “Book of Love,” “Blue Moon,” and “Teenager in Love,” to name a few. 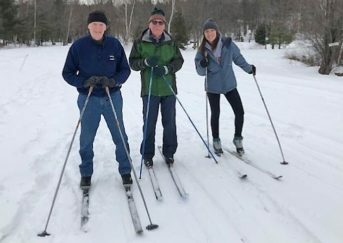 The group is comprised of Lakes Region Residents Jim Rogato, Bo Guyer and Angelo Gentile, who have been performing together for more than 10 years. The vocals and guitar magic of Drew Seneca add to the mix.